Highlighter is a makeup product that's easy to splurge on. A new limited-edition Becca palette? Yes. An innovative gold jelly highlighter? Definitely. With super-chic packaging and pretty iridescent formulas, it's easy to convince yourself to spend a little more than you said you would for dewy, radiant skin. But we must not forget about budget-friendly drugstore options. Even if they're a fraction of the price, these products can mimic high-end highlighters with finely milled shimmer, subtle pigment, and lots of glow power. Just take Instagram's newest obsession as an example. According to Allure, it's a cream highlighter stick that only costs $4 (is this the deal of the century or what?). It's going viral thanks to one 16-year-old aspiring makeup artist who waxed poetic about it to her followers. 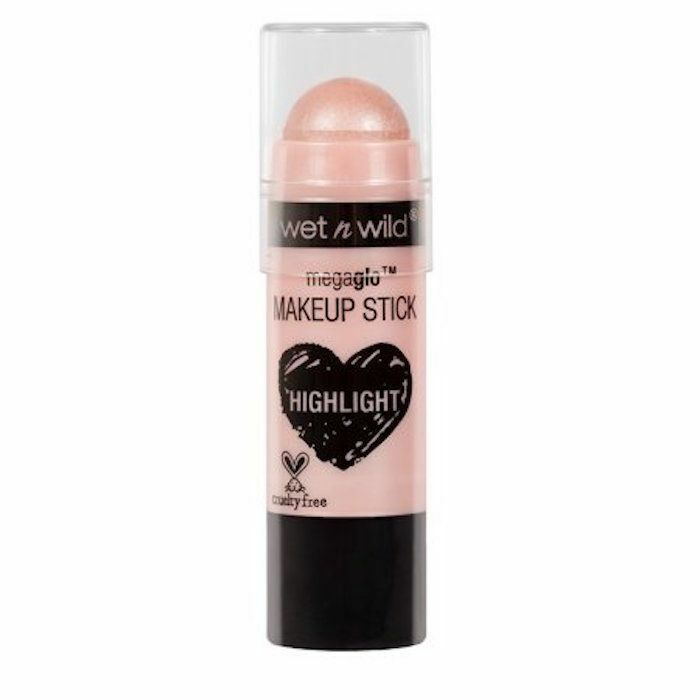 The winning product is this $4 highlighter stick from beloved drugstore brand Wet n Wild. Its highly compacted shimmer applies smoothly and evenly across the skin, diffusing light perfectly (which is, consequently, why we love cream highlighters here at Byrdie—they tend to look more natural even if they're layered for a stronger effect). We're not surprised people are loving this Wet n Wild product. Actually, we think that some of the brand's products are underrated, like the ColorIcon Blush ($3), for example. It's a silky pressed powder blush that lends a natural, subtle flush to the cheeks. For $3, you can buy every shade (like we did). Ashley, the aspiring makeup artist who brought this all-star product to the beauty community's attention, posted this picture on her Instagram page. She captioned it, "I wear different highlights at times but I was using this yesterday and I WAS GLOWING LIKE IM THE SUN'S DAUGHTER." She's right; the proof is in the picture. Her cheekbones capture and reflect light with a glorious glow that we want immediately. So far her post has almost 11,000 likes. Commenters agree with her glowing review. One wrote, "Have that and I glow so much ughh." Another said, "I love their highlighters. I love the powders on top of this or I use the powder highlights and spray them with setting spray and they're blinding." The price of this product will differ based on the retailer. She may have paid $3 for it, though popular stores like Target and Ulta price it at $4. Either way, it's an amazing product for such a low, totally affordable price. Go to Allure to read the full story. Then, see what Kendall Jenner says her current workout obsession is.